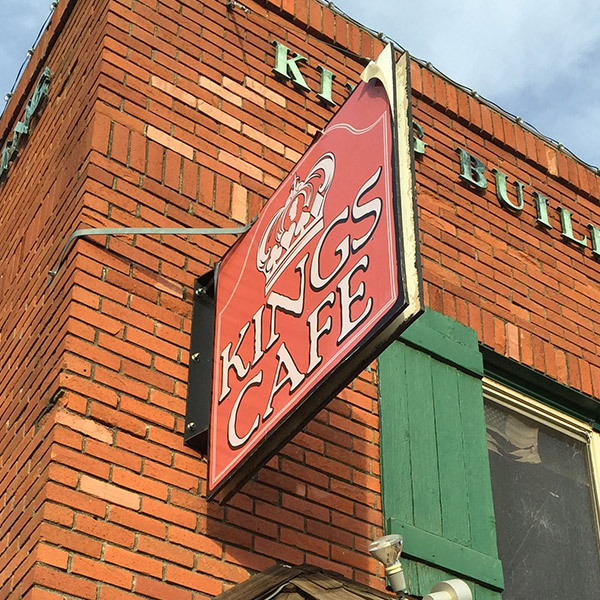 Open daily, 7:00 A.M. - 5:00 P.M.
Kings Cafe is housed in the historic brick flatiron wedged in between Brook Avenue and North Lake Boulevard. It’s a convenient spot to grab breakfast or lunch in the heart of Kings Beach. Order your coffee, espresso or tea and grab a bagel or muffin to go with it. Fuel up on a breakfast taco, burrito or egg sandwich such as the White Sando filled with egg white, turkey, pepper jack, avocado and pesto aioli. Get a burger like the Chipotle Bacon Ranch or a sandwich, taco, wrap or a salad made fresh to order. Check the sandwich board for changing specials such as coconut shrimp with chipotle slaw. Enjoy your meal on the patio out front facing the Lake or out back in the shade.